I’m guessing that if your kids are back to school and you’ve been as busy as I have these past couple of weeks, then you probably need something easy to make for dinner! 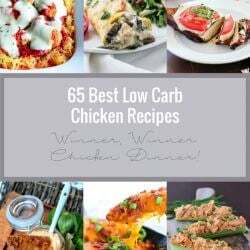 Since I also needed something easy to post today, hopefully this low carb recipe will benefit both of us! Honestly, this isn’t even something I was planning to share! I was starving and super busy, so I threw the cauliflower into the microwave, intending to make the jalapeno popper cauliflower casserole. The thing is, when the cauliflower was cooked I didn’t even want to bother pureeing it. I also didn’t feel like making the cream cheese mixture and slicing the jalapenos! So I simply attacked the cooked cauliflower (which already had the butter and cream in it) with a fork, and laid some pre-sliced pepper jack cheese over the top. Back in the microwave for 2 more minutes and it was done! I took a hurried bite because we were on our way out, and instantly was like “holy moly this is DELICIOUS!” and stopped to take a few quick photos so I could share it with you! This is some no frills food photography if I ever saw it though! It was getting dark, and I had no time to set up to make it pretty either! I promise, it tastes waaaayyyyyy better than it looks, and was so easy to make that it’s almost embarrassing! 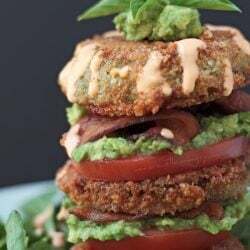 Sometimes when life gets ridiculously busy though, you just need a simple, yet delicious low carb recipe that you can get on the table STAT! This is that recipe! Pair it with the protein of your choice and a side salad, and you’ve got dinner on the table in half an hour or less! Enjoy! 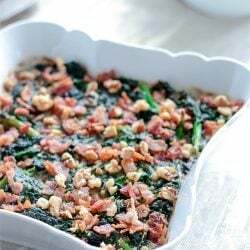 A simple, yet delicious, low carb side dish recipe. 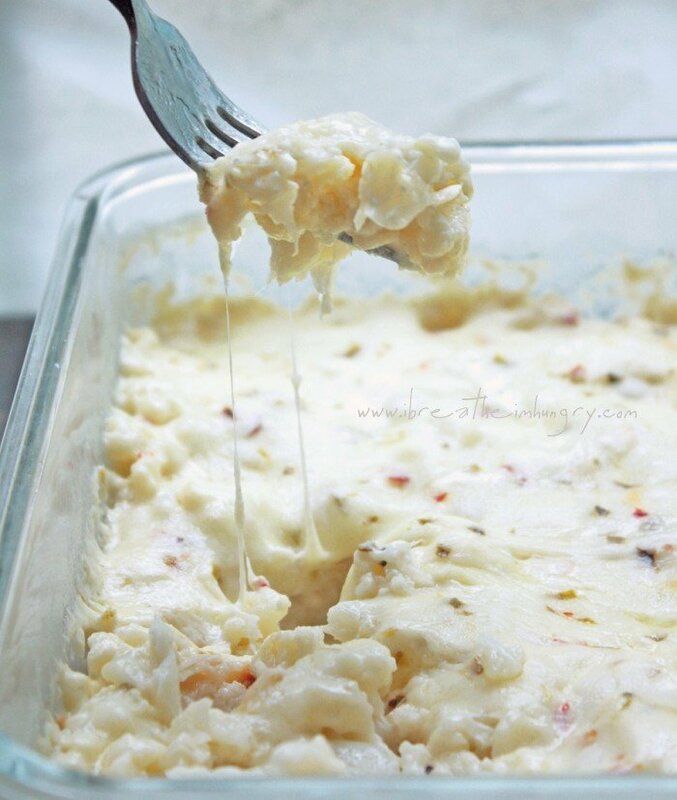 In a microwave safe dish, combine the cauliflower, butter, cream, salt and pepper and mix thoroughly. Microwave on high for about 25 minutes, or until tender. (Edit: There seems to be some confusion about this amount of time. Cook it til it’s soft. It takes me 25 minutes for this much cauliflower in my microwave, yours might be less. You can always start with 10 minutes, then 10 more, then 5 more if necessary. The key is to get it soft enough to mash with a fork. 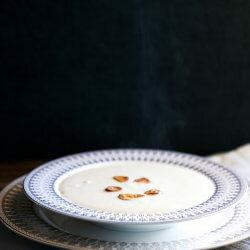 This amount of time also sweetens the cauliflower and reduces the cream and butter, making it like a thick sauce.) Remove from the microwave and mash with a fork or potato masher. Taste and season with more salt or pepper if necessary. Lay the slices of cheese across the top of the cauliflower. Microwave for another 2- 3 minutes or until the cheese has melted. Serve hot! There is still time to enter the Diva Stuff Giveaway for 5 free all natural beauty products, so be sure to follow the link and enter if you haven’t already! Also, for a limited time you can still download your copy of the IBIH Summer Recipes e-zine before it goes into the archives! Don’t miss out! So easy and my husband actually ate it and liked it!! Made this using the instructions that someone provided for the oven. It was delicious! Will make again. Only minor issue I had was the the slices of pepper jack cheese kind of glued to the cauli in their shape. This made getting 6 portions out of the dish clean and perfect, but it was hard to cut the cheese when eating so I didn’t end up taking the whole slice in 1 bite. It might have been the brand or thickness I used (or choosing the oven), so I might just tear them up and toss on top next time. So coming from years of low fat dieting, it does kind of freak me out to see this much fat in a side dish. 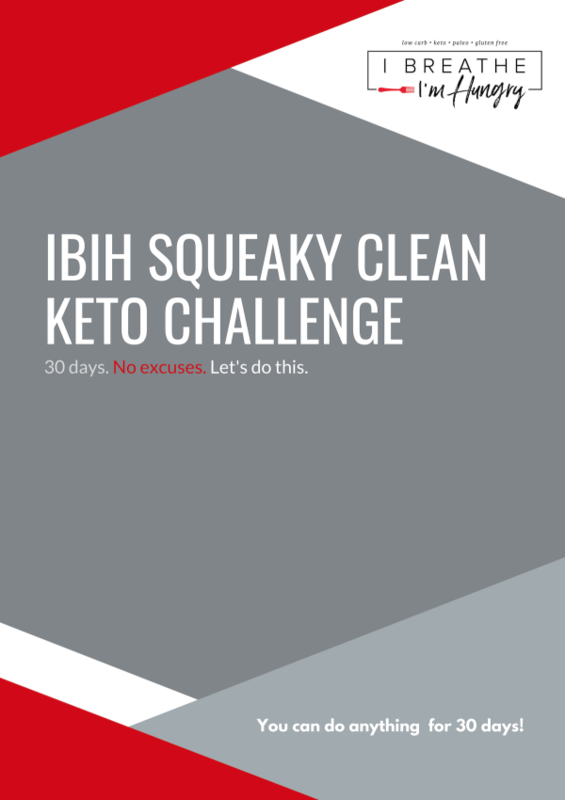 I am ok with eating more fat and know it is good for you, but fear I may go in the opposite direction and go towards too much fat a day which will stall weight loss. Let’s say I use this as a side dish, should I pick a main dish that is lower in fat? Also I was thinking of adding rotisserie chicken and baking in the oven as you instructed previously and making it a one pot meal. Have you done this before.? Loved this recipe!! I haven’t really been a fan of cauliflower but I enjoyed every bite if this dish!! Delicious! My 15 year old son said “That was cauliflower? !” It’s a hit! 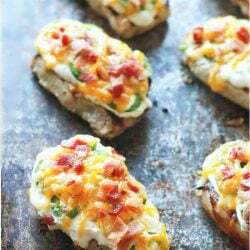 Making this right now with chipotle cheddar. Made it the original way before with pepper jack. Yum OH! 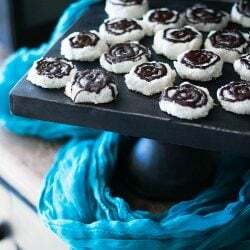 Fantastic recipe, however I need some help. I made this but it did not make nearly the servings it said it would. I double checked to make sure I used 4 cups of cauliflower florets, butter, heavy cream but it only made about a cup of gratin. Were we supposed to used two 10 oz bags of frozen cauliflower??? My entire family devours this every time I make it! 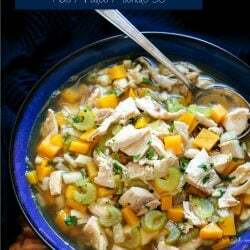 Great recipe with dairy that doesn’t actually leave me with a tummy ache! Thank you so much for this amazing recipe, even my picky 3 year old loved it! I am in love with this! LOL I used about 5 cups cauliflower but left everything else the same. I don’t use the microwave much so I steamed the cauliflower until they were tender. Then I put them in a casserole dish and chop it with a fork. Added the butter, cream salt and pepper and gave it a good stir. I left some of the cauliflower a little chunky. I then laid the six slices of cheese on top and baked at 350 for about 20 minutes or until my cheese was bubbly and just browning a little. It is Delicious! Thanks for your oven instructions. I prefer to bake my stuff in the oven too over the microwave. Gonna give this a go this coming weekend! And thanks to the author for the lovely recipe! This is absolutely sensational! And something to always have on hand. The only ingredient I added was crumbled and ground bacon bits. The saltiness of the bacon popped it right up to amazing. 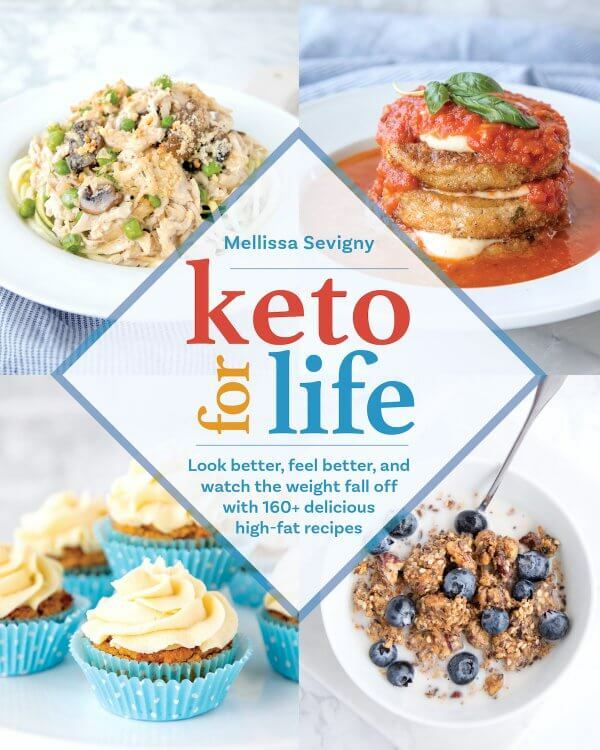 Melissa, thank you so much for this site… I hate finding keto recipes but yours are so lovely to look at, it is a pleasure! I tried this receipe for the first time tonight. I was short some of the original ingredients so I improvised. I had a bag of pre crumbled cauliflower that needed to be used soon. It eliminated much of the mashing required. I didn’t have pepper jack cheese so I substituted Asiago and provolone. The only cream I had was whipping cream so I used that instead. I also added bacon pieces and minced onion. Overall, it tasted yummy. I look forward to trying the receipe when I have the original ingredients. I think I need to reduce the microwave times. It may be altitude related. That you for the receipe! ANy suggestions for making this with fresh cauliflower and NO microwave! Help please!! Thanks so much! Making this tonight!!! Am an experienced cook. Read this yesterday and thought NOT. For some reason as I prepared dinner, grabbed the cauliflower, had the cream from baking and took a chance. Well is was great! Fast, perfect. You dont get the crusty cheese top…but hey it’s 90° today the top isn’t worth the oven. Writing this in my grown children’s cookbook. One I’m sure will be a favorite. Oh my! This was wonderful! We had this for dinner tonight, along with some steamed kale and your Cajun Chicken. My husband said this was the best cauliflower dish he has ever had. Everyone loved it (and the Cajun Chicken, too). Tried this last night. I admit, I was skeptical about the 25 minutes, but it was exactly right. This was absolutely delicious and my whole family loved it! Could you boil the cauliflower or only microwave or roast? Ahhhmayzing! I made your cauliflower gratin tonight and it it is a taste sensation! I made it in a smaller portion with just a bit of modification. Used defrosted frozen cauliflower and just adjusted cook time to suit. 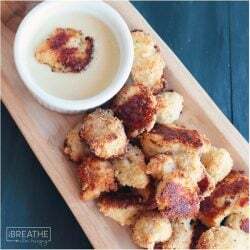 Just such a great way to cook cauliflower and live low carb too! Thanks so much for a great and easy recipe. This was wonderful! I didn’t have the pepper jack, but used mozzerella and it was still yummy. I’ve never been a cauliflower fan, but I grew up with a mother who thought the only way to cook veggies was to boil them into oblivion. I didn’t know I actually liked any vegetables until I became an adult. Now I’m eating healthier and branching out to try things I didn’t think I liked. Cauliflower seems to be very versatile so I really want to like it. So, I made this last night. I have to say I was pleasantly surprised! It only took 15 minutes in my microwave oven. It was very quick and easy, so that makes it even better as a weeknight meal. I also like that it’s low protein. I’m eating high fat/low carb, but my protein has been too high lately so this will be a good go-to. The only change I think I’ll make is that I’ll make it a bit creamier. I didn’t care for it being quite so lumpy. This is the second cauliflower recipe I’ve tried from this blog. So far we are two for two! Both very good! This was yummy ! Thank you ! I can’t tell you how much I appreciate your easy and tasty recipes ! I’ve lost 8 pounds so far ! Yay !! Thank you so much I tried so many recipes to get potatoes out of my house . This hit the spot made it once with the cheese and once without .My 8,6,and 5 year-old loved it didn’t make Neuf last night AGAIN lol . They love these potatoes or they thought they were lol. Thanks a million!!!! I kid you not, I have made this 5 times since finding this post last week. I have purchased so much cauliflower I should have bought stock in it. This recipe is the simplest, tastiest way to fill my belly with pure deliciousness. There hasn’t been one person I’ve made it for who didn’t rave about it! Two of those people “hated” cauliflower purée, but went nuts over this one. It’s a magical recipe and I’m SO glad you shared it with us! Microwave is a no go for me I don’t have one and wont be buying one anytime soon but cauliflower and cheese is always a good combination. I needed an easy side dish. All that I had on hand was a 10 Oz bag of cauliflower and some Sargento pepper jack tasting cheese and half and half. It’s very good. Next time I will use Parmegianno. I’ve made this before and it’s always turned out yummy (I use 1 pkg of frozen cauliflower) but this time I had 8oz of ground beef to use up so I browned it then added it in before I melted the cheese. Even better!! Can you sub cheddar cheese in the recipe? Love cheddar! So glad you’re enjoying it Stella! Don’t try too hard to save it – you can always make another batch for him! ;) This is when I’m actually glad the rest of my family doesn’t love cauliflower – more for me ha ha! 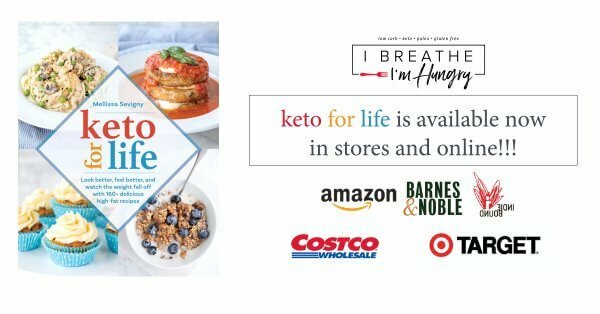 First of all – I LOVE your blog! 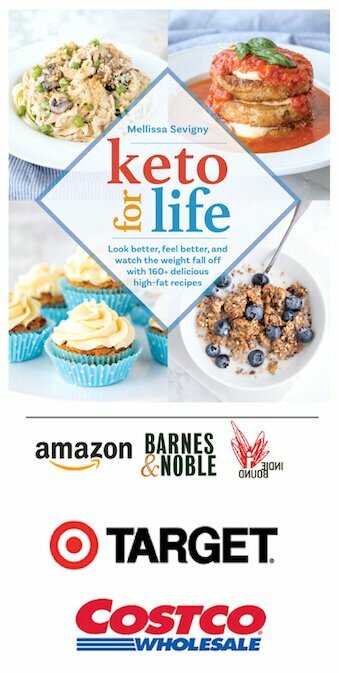 Thank you so much for all of the wonderful delicious keto recipes. I just started the diet and look at your posts pretty much every day. I’ve tried a few of your recipes so far and all of them were super yummy. I don’t know if that would give you the same thick texture Nora, but I’m sure the flavor would be awesome! I have been on the diet for a week. 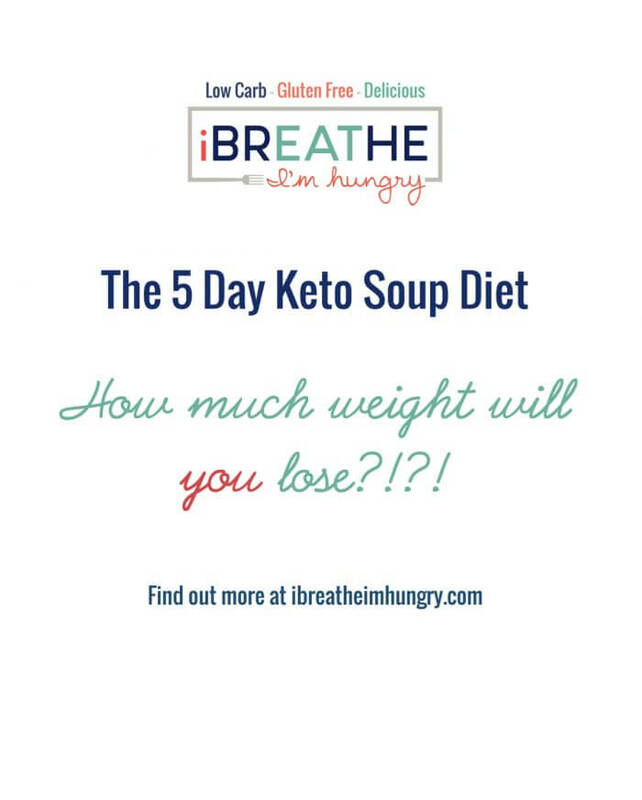 I have lost 5 lbs. Not a bit hungry and my portions are smaller automatically. I feel like I have been eating lots of food. I had the same thing happen. I had been checking every 5-10 minutes. In the last 5 minutes, the cauliflower suddenly reduced in size so I went from a fairly full bowl to just over a cup of the mix. Not just greasy but now I’ll get about a tablespoon per portion. Was very yummy though so I’ll have another go. The same happen to my, I barely had a cup left after it cooked. It was definitely delicious. I am going to try 5 cups and less time and see if that works. Thanks for the recipe!!! Did you figure out how to make this recipe without the cauliflower shrinking so much? It’s good, just definitely not 6, 3/4C servings when it shrinks like this. Thanks! Did anyone figure this out? I had barely any left after the microwave, and it was EXTREMELY cheesy when adding in all the cheese because of the way the cauliflower shrunk! 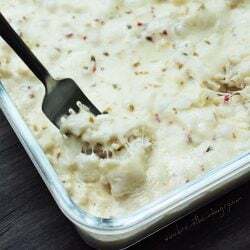 I see the recipe says to mash with a fork or potato masher, but the photos look like they have whole (though small) florets? Mashing it with a fork left some of the pieces intact Krysti, which made for a hearty texture that I really liked! Enjoy! Can you translate this recipe for those of us who do not use a microwave? I would like baking time and temperature and boiling time for the cauliflower. Should I cook the cauliflower first, and then combine it with the butter, cream, salt and pepper? Would the quanitities of these ingredients change at all? To me, microwaving is the worst thing you can do to good food! Hi! This sounds amazing, I can’t wait to try it but I have one question: would I be able to substitute the heavy cream for plain Greek yogurt? I don’t see why not Taylor – but it will change the texture and flavor I’m sure. Let us know how it turns out if you try it! Had to make his in a 9″ square owl. After 25 mins. There was hardly any cauliflower left. Added the cheese and it was mostly cheese. Delicious but skimpy..
It’s possible that your microwave is stronger than mine, which is why I recommend checking it every ten minutes until you get the right doneness, maybe less time for you next time! I made this today and it was really good. And so easy. 25 minutes was perfect. Even my husband liked it and he is difficult to please. Thank you for sharing this one. Wonderful! I wanted some comfort food today and this was perfect! I made this last night to go with our steaks. This recipe was so easy and so yummy!!! I am always looking for easy, delicious ways to get my veggies. Thanks for posting it. You’re welcome Julie! 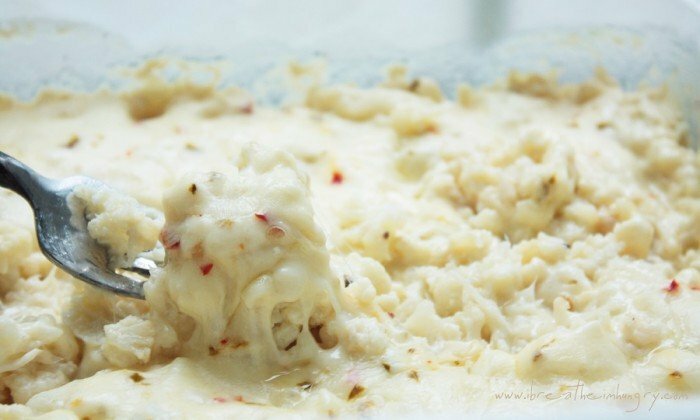 I love the cheesy puree recipe too, but this one is so much easier with not needing the magic bullet that I sometimes plan to make the other one and just say “meh” and make this instead because it’s so good!!! Glad you guys liked it!! I made this for dinner tonight because I needed a bit of comfort food. Took 20 minutes in my 800w microwave for 4 cups of fresh cauliflower. I fried some bacon bits and stirred them in just before adding the cheese, and it was perfect. A lovely, simple recipe which I’ll definitely be making again. Mine took 15 minutes in the microwave. I did not find that it yielded 6 servings….if so, it was one bite per person. What did I do wrong? 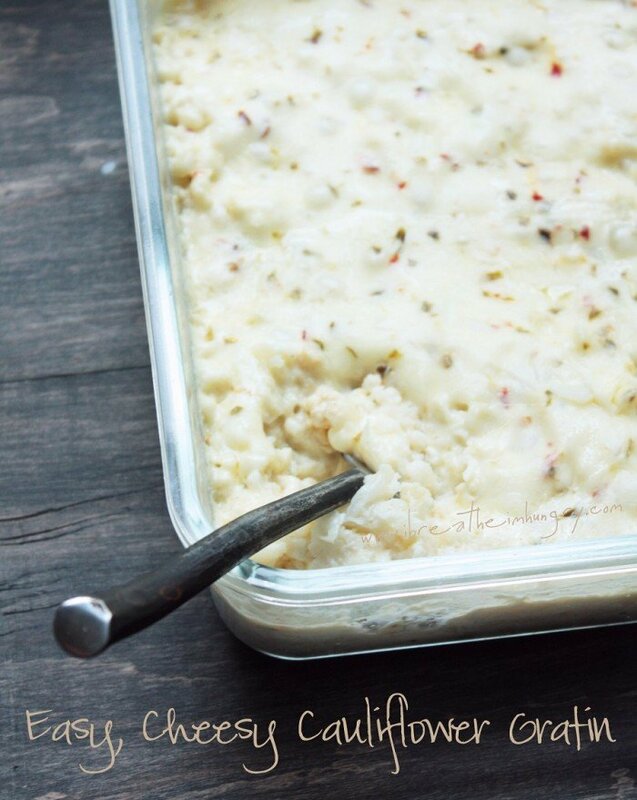 I used 4 cups of raw cauliflower….But it was DELICIOUS! I just made this as well and ended upp with 4 servings that were 3/4 cup. Had I done 1/2 cup servings I might have been able to get 6, but it would be close. I too used 4 cups of cauliflower, so I’m no sure what we’ve done! Thanks for this easy, delicious looking recipe! I try everything I can to get my family to eat veggies. This looks like a sure fire way to do it! Thank you for sharing it. This was so good and easy. I used frozen cauli and it worked perfectly. Love that I didn’t need to dirty the food processor for this. I would prefer to use frozen cauliflower for this recipe as well. How long did it take you in the microwave with the frozen? I made this tonight…i think i died and went to heaven!! I did, in fact, microwave it for 20 minutes on high. That is NOT a typo. I ended up with 5C. cauli, so i used 5T. butter and 1/2C. cream. I microwaved in 10-minute increments, stirring between, in an 1100-watt microwave. I still used the 6 slices odd cheese and microwaved for 3 minutes, i think. This is heavenly!! Have you ever roasted cauliflower? The flavor is SOOO much better. This looks SO GOOD! Potatoes and melted cheese = my faves! Umm, there are no potatoes in this recipe. Whoa,wait a minute. I still do from time to time, don’t I? Well, not all of us have a microwave! :( Could this work just baking the cauliflower mix instead? Of course, or you could steam the cauliflower first, drain it and then add the rest of the ingredients and bake it at 375 degrees (F) for about 20 minutes or until the cheese is melted and the cream has reduced and become thick. Enjoy! I just steamed an entire head of cauliflower last night for this dish and (after coarsely chopping) I only had to steam for 5 minutes until the florets were fork-soft. I transferred them to a baking dish coated with butter and laid the pepper-jack cheese over the top and popped into a 350 degree oven for 15 minutes. melty- bubbly goodness! This sounds like a better plan for me. I would much rather bake it, then microwave it. Please respond to Matt’s question. It seems like 25 minutes would be too much. Your other cauliflower recipes don’t microwave for so long a time. Thanks again for a great sounding recipe for cauliflower. Sorry this took so long, I’ve been busy and just got home. Most of my other cauliflower recipes start with 1 head of cauliflower, or around 2 cups of florets. This recipe uses much more cauliflower and therefore takes much longer to cook. Cook it until it’s tender, however long it takes. Everyone’s microwave is different so feel free to do 10 minutes at a time until it’s where you want it. Microwave on high for 25 min? Is that correct? Seems a bit high. I’m thinking it’s a typo, and 2 – 5 minutes is what the author intended. 2 – 5 minutes wouldn’t even begin to make the cauliflower tender enough to mash with a fork – although that would be AWESOME since it would get me eating it SO MUCH FASTER! ha ha! I really did mean 25 minutes, but if you have a particularly strong microwave you may want to start with less time and just keep adding cooking time until it’s tender enough for your liking. Hope you like it! I would also love to know if anyone has suggestions for cooking times with frozen cauliflower. Also, what size dish is recommended for this recipe? Everyone’s microwave is different, but with four cups of florets in this recipe, it takes much longer to cook them to fork tender than my other recipes. I wanted it really soft so that it would easily mash with a fork – it also gets a certain sweetness to it from cooking it for so long. As always, it’s really up to you and your own preference. You may prefer to cook it less and have more of a al dente bite to it. Or start with 15 minutes and keep adding time if necessary. If you are halving the recipe, you would want to cook it for less time. Enjoy! For RAW cauliflower, it will take more than 2-3 minutes. If you use frozen cauliflower, for when you’re in a hurry, it takes less time.